Seed saving at local community levels encouraged. A branch of ‘Garden Organic’ (HDRA) at Ryton gardens. Supplier of very many interesting and unusual varieties. All varieties are Open Pollinated and the company encourage seed-saving. Supplier of many older and unusual Open Pollinated varieties. Much good information on each variety. Supply a good range of open pollinated varieties with some being organic. Supplier of a very wide range of open-pollinated heirloom varieties. All grown to Organic or Biodynamic standards. Association Kokopelli encourages seed saving at local levels. Supplier of a number of Open Pollinated varieties. W Robinsons and Son ltd. Supplier of a number of exhibition Open-pollinated varieties. Old Fashioned Flower Seeds – ‘Like Grandma Grew’. Specialise in organic open pollinated seeds vegetables and herbs. Organic grower of wild species of open pollinated culinary & medicinal herbs, shrubs, trees and seeds – all perfect bee plants, which provide the absolute ideal in terms of pollen and nectar -bees’ only food. 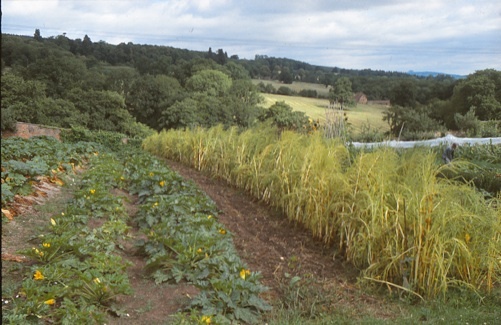 A not-for-profit organisation selling organic and biodynamic seeds and other items. Absolutely no F1 hybrids; their educational kits include information about seedsaving techniques. All proceeds go to developing the Little Green Farm site and to provide funds for school and community gardens, environmental education and the creation of natural playspaces. SimplyGro is a small eco-friendly business nestled on the edge of the Cotswolds. Their aim is to inspire people to grow tasty, interesting and, varied types of vegetables, herbs & flowers by offering ‘mix & match’ seed varieties, many of which are open pollinated. We grow, conserve, & distribute Irish organic vegetable seeds, grains and fruit trees. This is an Irish seed company listing open pollinated and heirloom varieties. 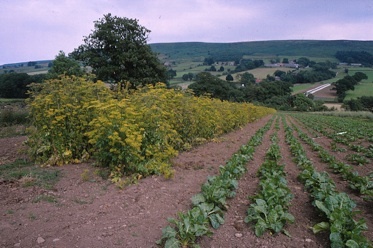 * See Association’s website for further Biodynamic Open Pollinated seeds available from the Continent. Here is a range of leaflets for you to use that provide interesting and practical information about seed saving for everyone.